When Tina first suggested Mikawa to me, I wasn’t terribly excited. 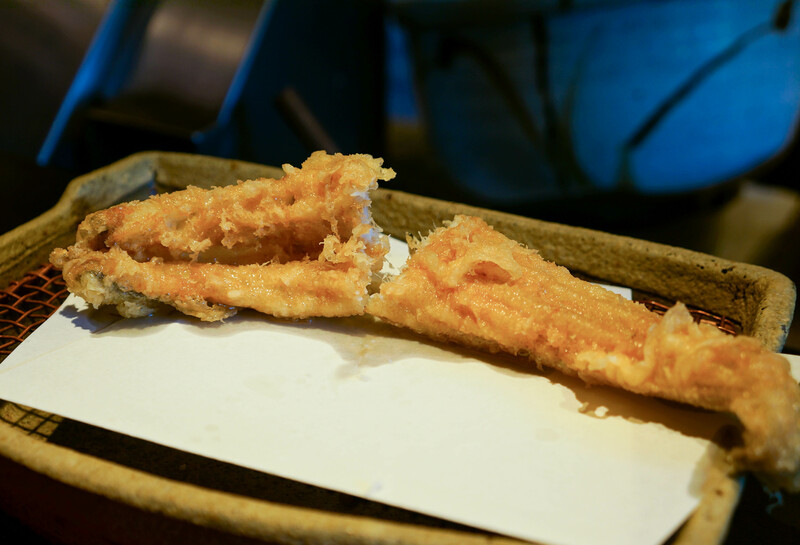 After all, what I knew as tempura was shrimp and vegetables deep fried with thick batter. It can taste good, but none the less is one that gets tiring quickly. A whole meal of tempura seemed a bit too much. Or so I thought. But since Tina did all the research on food, I didn’t put up much of a fight when she insisted on making reservations. “It’s supposed to be really good!” she said. 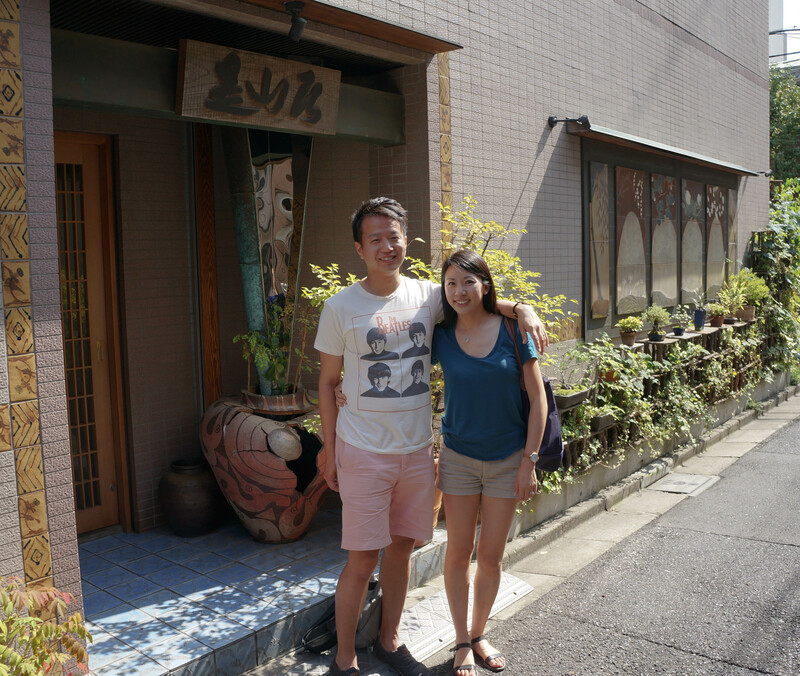 By this time in our trip, my friends Benny and Cindy made it to Tokyo to join us on our honeymoon! 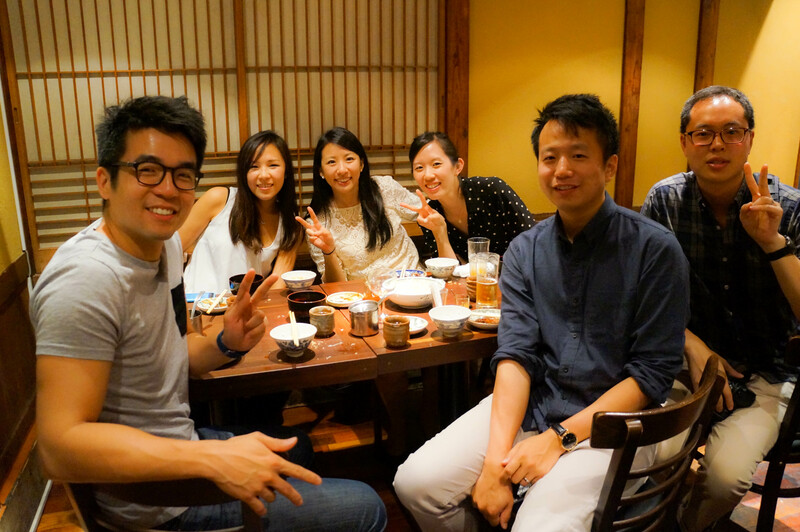 We met up at Shinjuku station and took the train over to Monzen-Nakacho. Trying to find this place reminded me of how difficult life was before smart phones and GPS. Even then, it wasn’t clear where this place was. Wait, what’s that kanji on that wooden placard? Doesn’t that say Mikawa? You’d think, but Nope! Actually it reads Zezankyo, but I thought it read Hoshiyamakyo because of the way it was written. I also didn’t know what Zezankyo was in kanji. After asking a guy that was passing by we found out we were standing right in front of it the entire time. To the service of those that plan to come here in the future, the above photo is the main entrance. The restaurant is situated in a 4 story building, where the main dining area is on the ground floor. The ambiance felt unusually welcoming and homey. It is as if we stumbled into someone’s home to have a meal. I have to say this was a very unique feel for any restaurant I’ve been to. I quite liked it. Despite the very intricate decor and the really cool ceiling tiles (each piece was uniquely designed), there wasn’t an ounce of pretentiousness in this space. 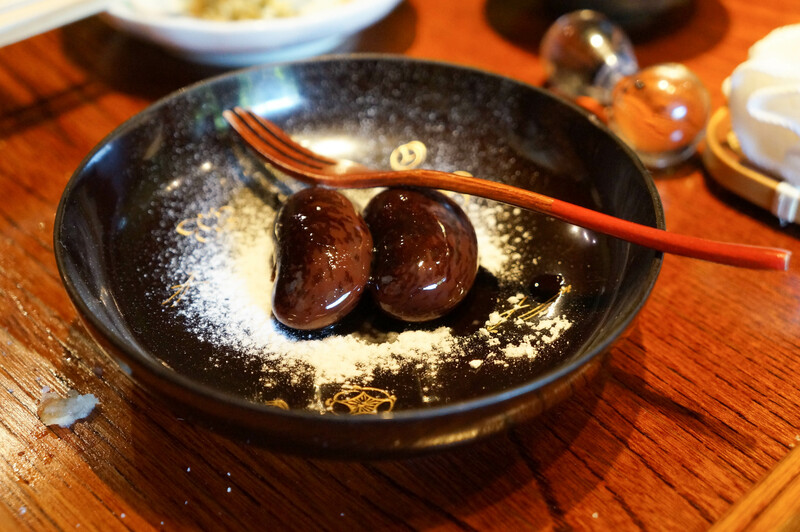 Unlike most “Michelin experiences”, this felt easy and comfortable. 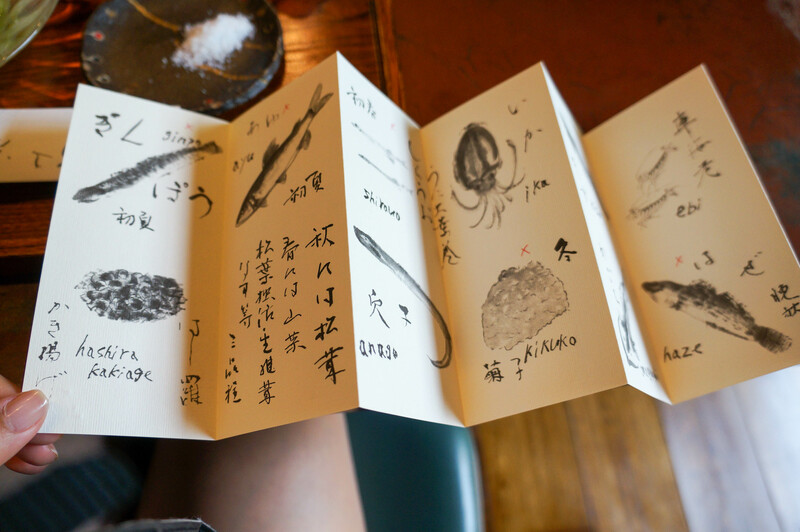 I love it when restaurants are creative and design conscious with their menus, and we all collectively wowed at the sight of this beautifully drawn menu done by none other than Chef Tetsuya Saotome himself. I never spent as much time marveling at a menu before that day. As my friends and I are in the midst of discussing the menu items, the familiar sizzle of a deep fryer caught our attention. Everything served is edomae. So there was a great deal of preparation done by the time the shrimp hits the fryer. Here at Mikawa, Saotome-san does all the frying. 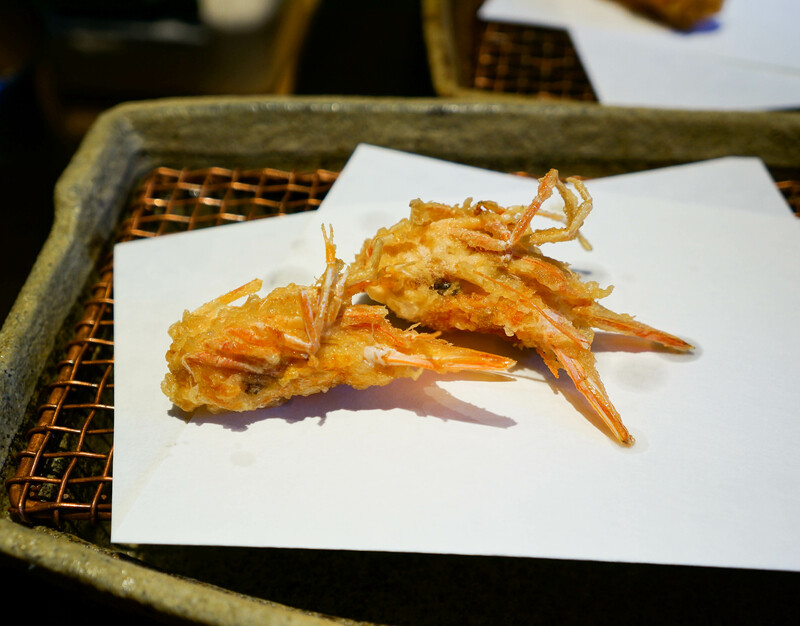 First up was ebi (shrimp) and botan-ebi (shrimp head). Served on a folded piece of paper, which if you notice is folded in such a way that covers the maximum amount of surface area on the grill. Totally nerdy, but I appreciate these kinds of things. 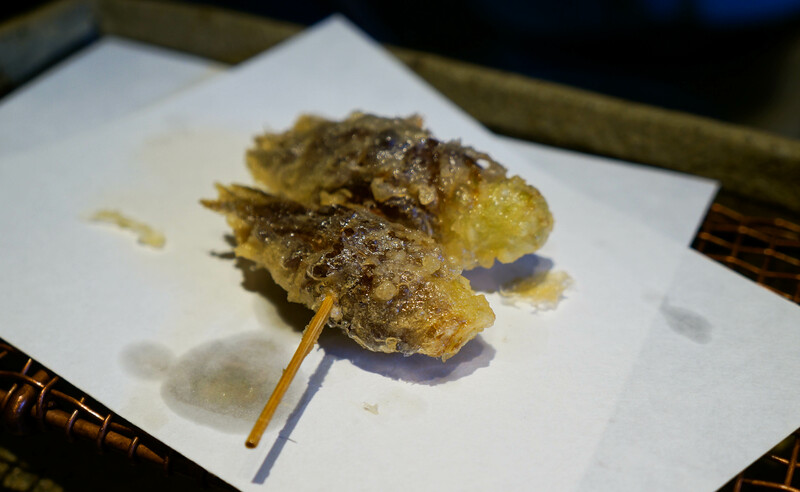 Go ahead and search google images of tempura right now. Is there one where the batter is as thin as this? No. There isn’t, because I looked myself. I swiftly dipped it in a bit of sea salt and took that first bite. Yep, Tina was right. This was really really good. The thin batter contributes just enough to the taste by giving way to the juicy delight of the shrimp. It’s not greasy at all. I know that by taste, and also by how little residual oil is left on the paper. Both were mad delicious. 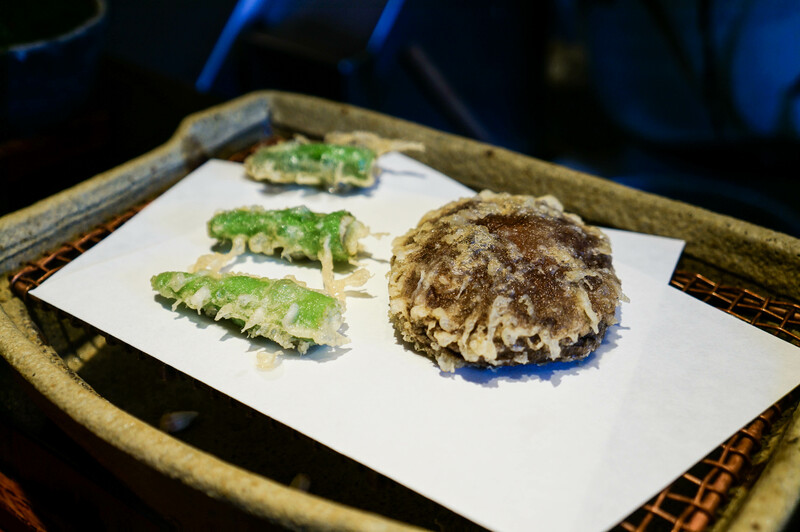 We were told we can dip it in either sea salt or grinded daikon doused in a green tempura dipping sauce. Entirely up to you, but I personally preferred sea salt while occasionally using the latter for balance when the grease started to build up in my mouth. 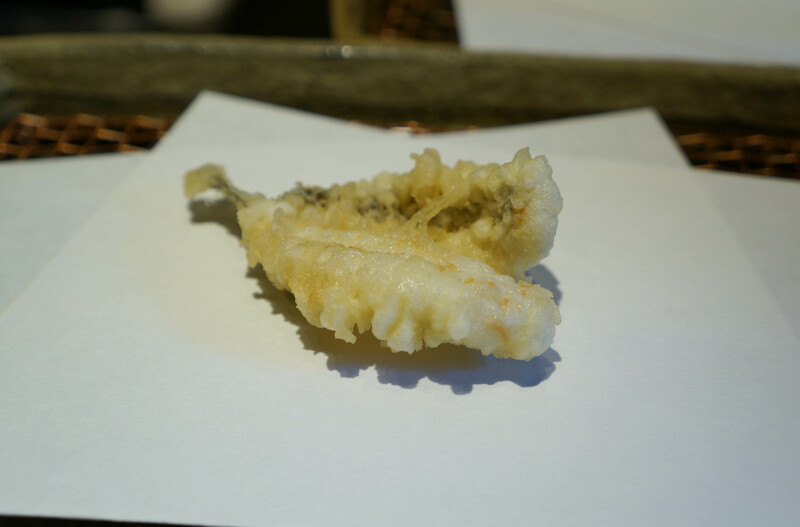 Next was kisu (Japanese whiting), followed by ika (squid). Good ika to me needs to be fresh and have just the right about of chewy texture to it. This was just that. 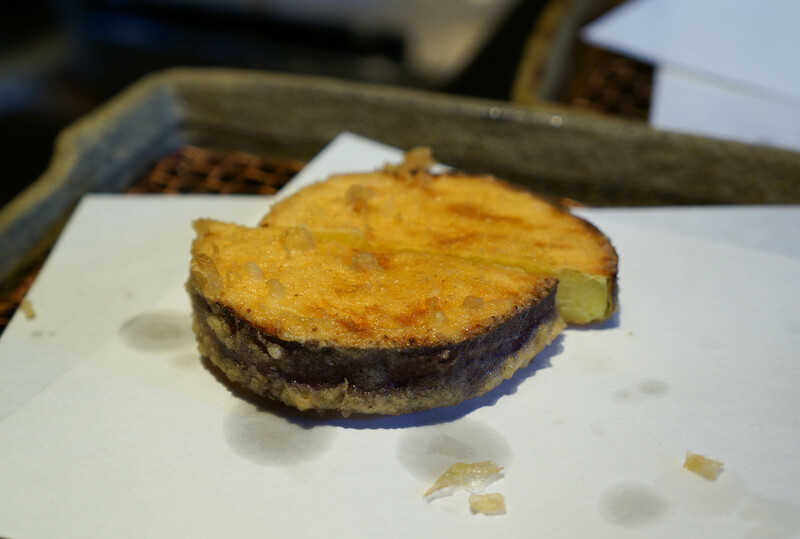 The kisu on the other hand was very tasty and soft! 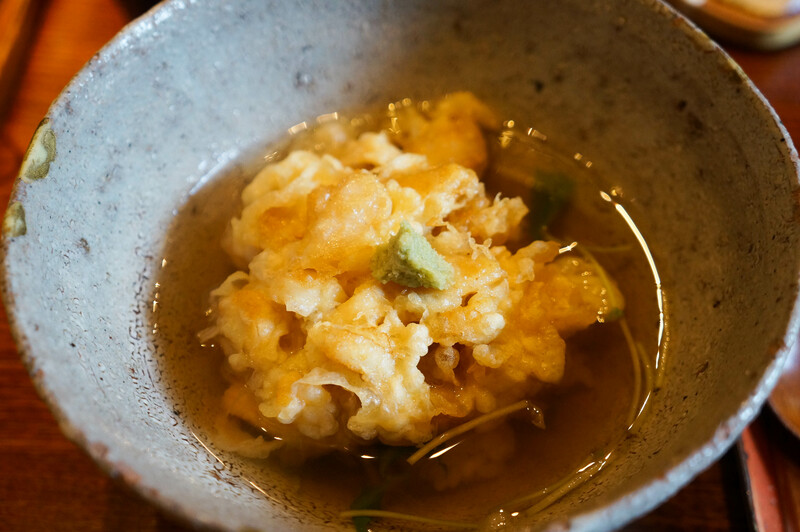 The combination of that with the crunchiness of the batter made for a solid piece of tempura. We were given a bowl of dashi soup with a dumpling. 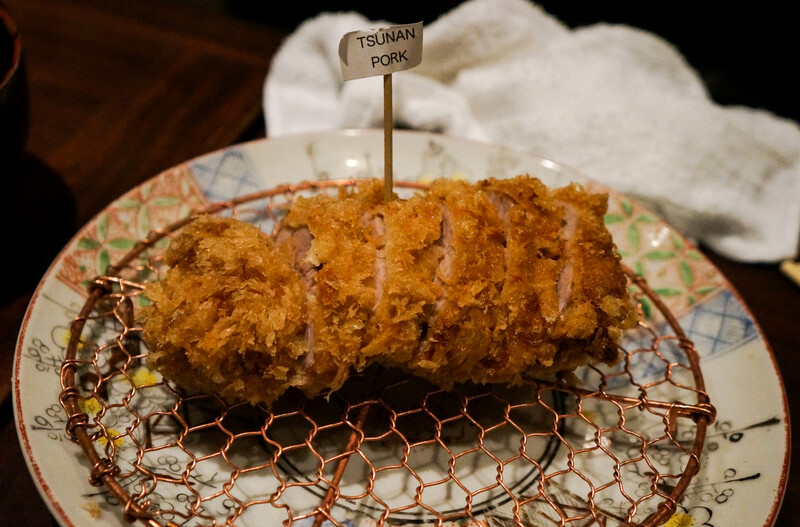 Many restaurants served this during our stay in Japan, but the one at Mikawa was probably the best of the bunch. What made it special were those small vegetable chunks coated with gelatin. The texture and taste complimented the soup very well. What followed was one of my favorite dishes of this meal. 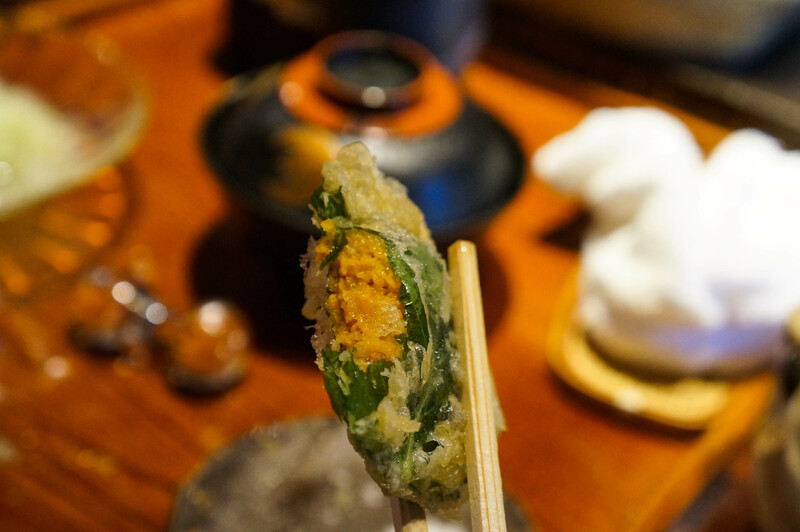 May I present you, the shiso wrapped uni. It tastes as good as it looks. The shiso in particular really made this whole. 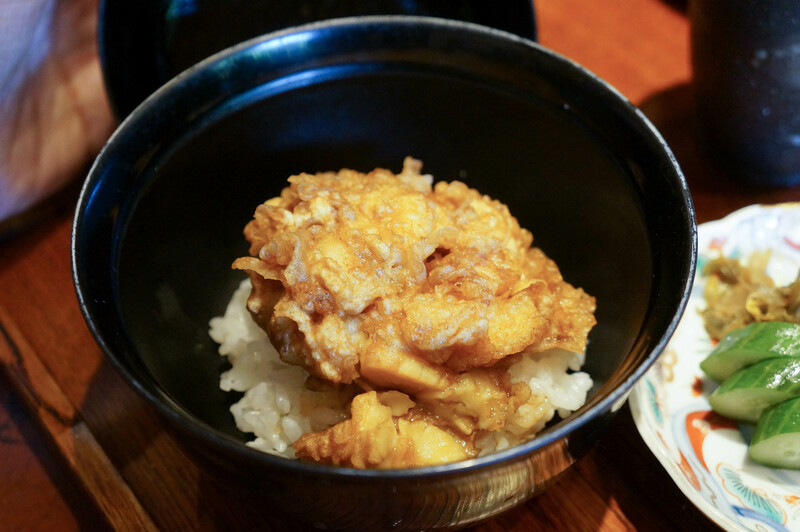 If you love uni, you’re going to love this. 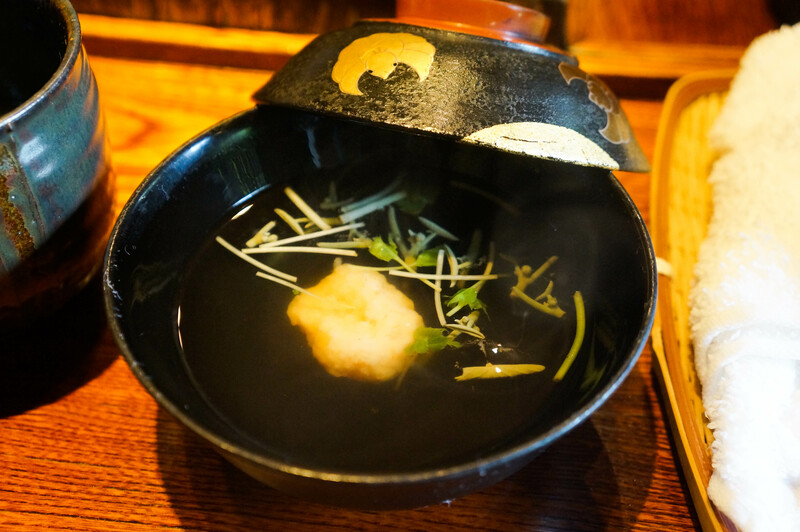 In the time we spent in Japan, matsutake mushroom was in season so many restaurants served them. I already love mushrooms in general, but matsutake mushrooms quickly rose through the ranks and became one of my favorites by the time we left. 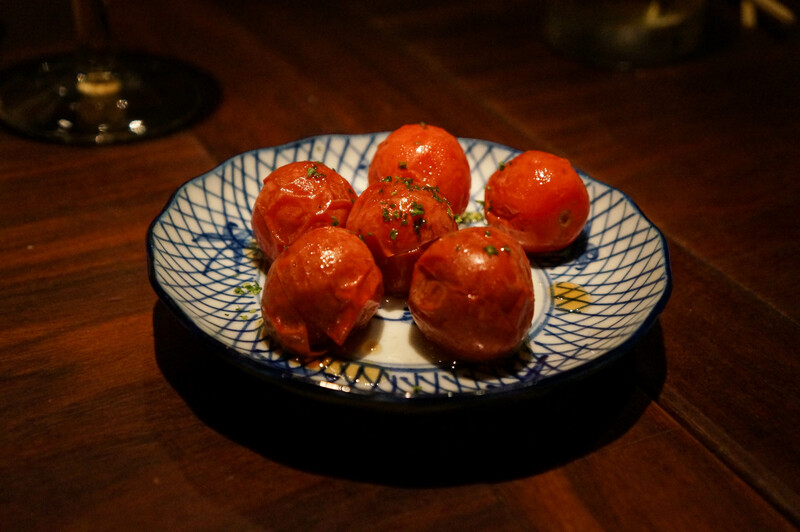 The ones served at Mikawa were as juicy and flavorful as they come. Since being back in the bay area Tina and I have been on the look out for them, none have come close in quality. 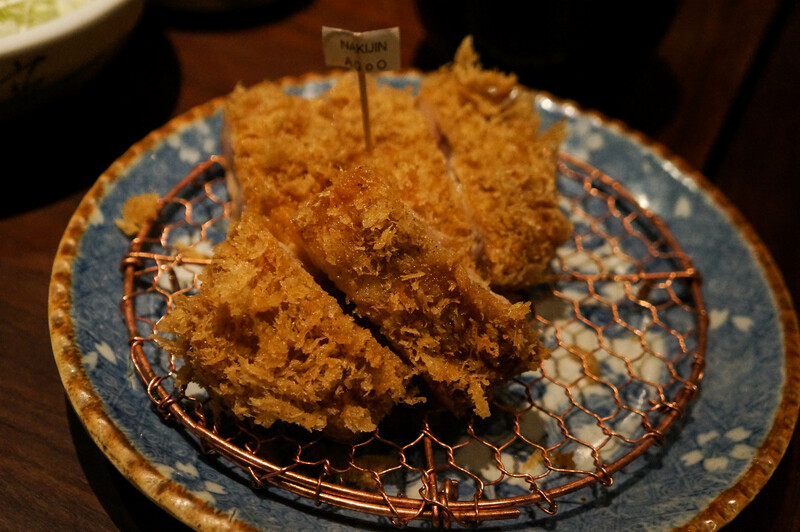 Ginger tempura! We use ginger a lot in Chinese or Taiwanese cooking, but it’s usually added for flavor and not meant to be consumed directly. So I did hesitate for a second before trying this. Tasted better than I had imagined. 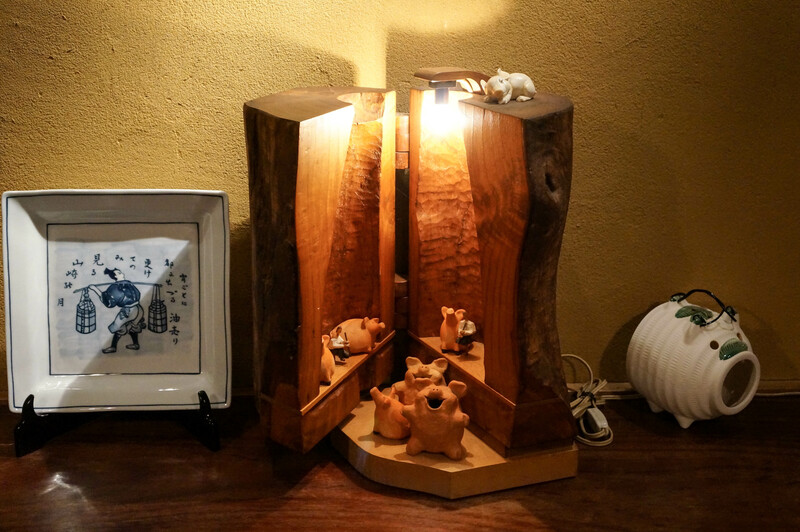 Meguchi (three little fish) followed. Soft and tender. Much like the kisu that preceded. I find it hard for anyone to dislike anago (sea eel). 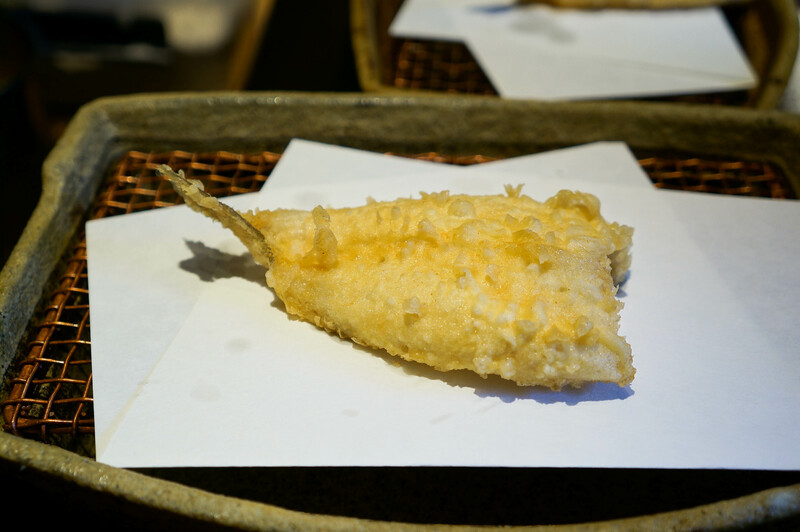 The combination of it’s rich flavor and melts-in-your-mouth texture makes this the perfect tempura fish. Definitely another highlight of the meal. 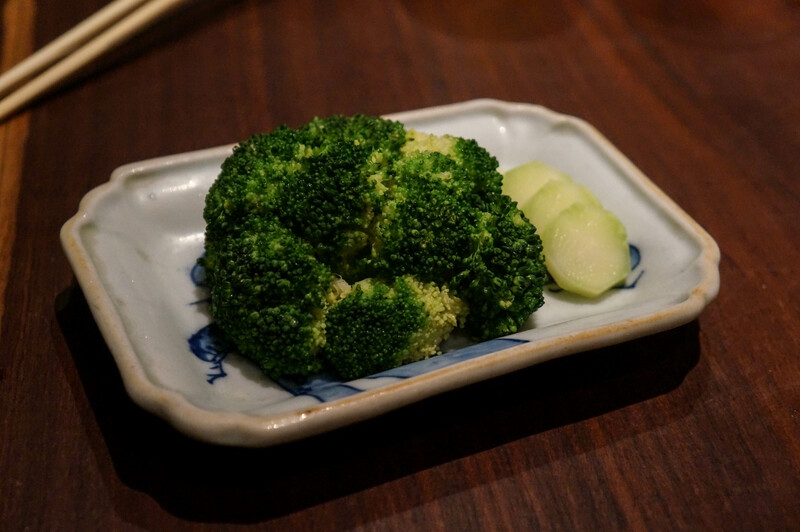 We were given a choice of two veggies from a list of 5~6. The one we didn’t try was asparagus. I chose the shishito pepper and shiitake while Tina chose eggplant and sweet potatoes. The shishito pepper was our favorite of the bunch followed by eggplant. Now we’re nearing the end of the meal. Usually by this time, something with rice is served. 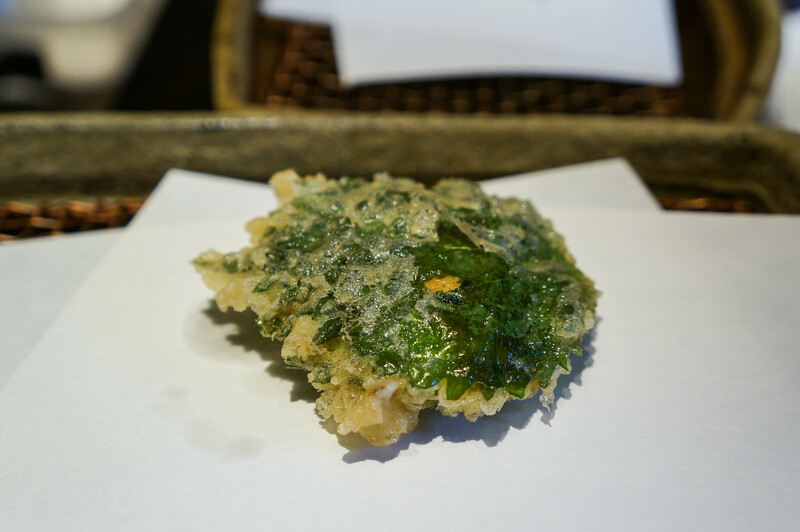 We were given the choice between kakiage (mixed tempura) over rice or ochazuke. Doing what couples do, Tina got one and I the other. 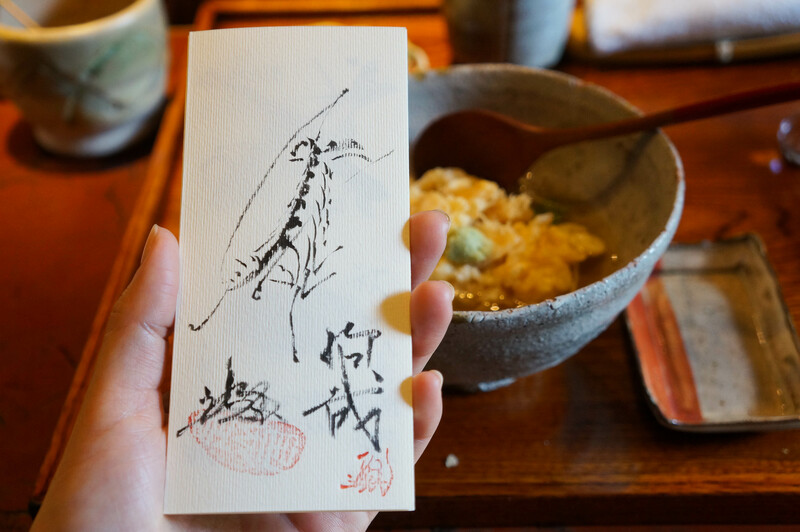 The ochazuke was much like the dashi soup served earlier in the meal. I personally preferred rice, but that’s also because Japanese rice is so darn good. Finally, the sweet ending to wrap it all up. Sweet red beans with some powdered sugar. Our meal was about $160 (~17500Y) per person which was the more expensive of the two options. I can’t remember what we got on top of the basic menu, but the price difference wasn’t by much. We were stuffed by the end of the meal, and all of us enjoyed it thoroughly. A local sitting next to us told us that this was his favorite tempura restaurant. 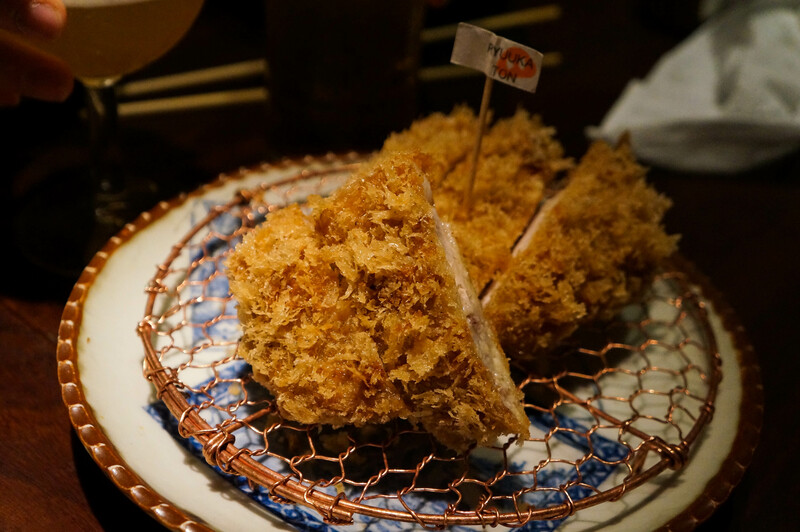 I’d love to go back again one day, but not before trying some of the other options in Tokyo. Next time! 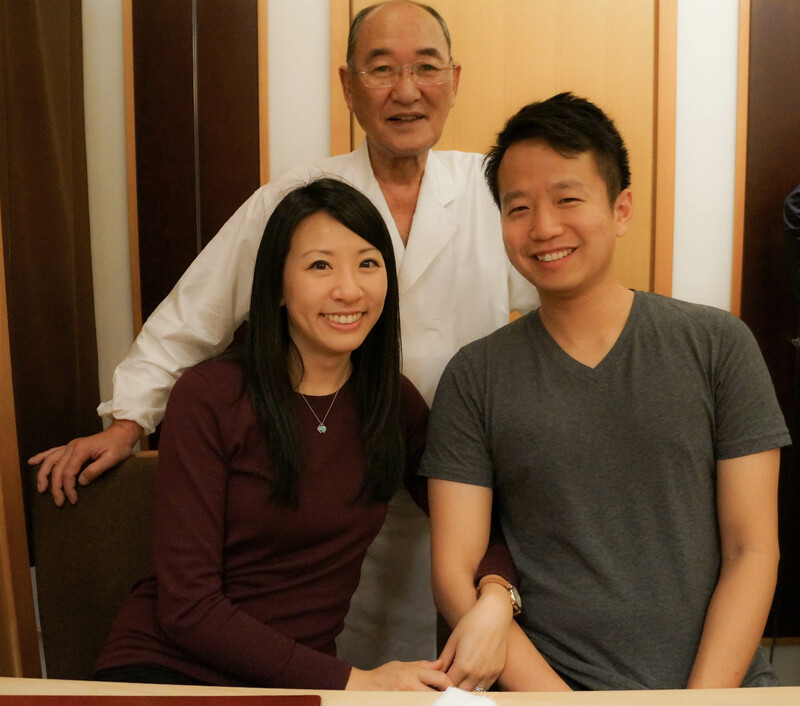 Nestled in the city of Tokyo on the 9th floor of an unassuming building in Ginza, rests one of the most highly rated sushi restaurants in all of Japan. 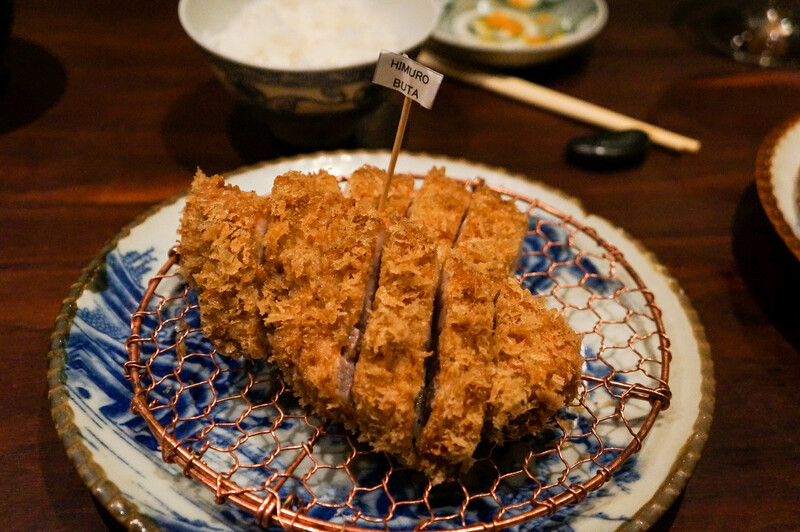 A former 3 Michelin star (now 2, though I strongly disagree with this demotion, but I’ll save that for another piece) restaurant often mentioned in the same breath as the now legendary Sukiyabashi Jiro from “Dreams of Sushi”. 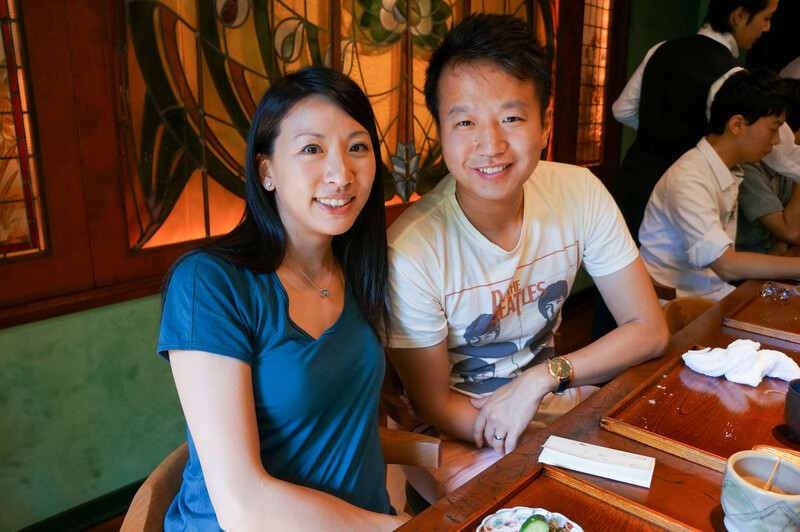 Tina booked the restaurant through our hotel concierge 2 months ahead of our honeymoon trip for dinner on our first night in Tokyo. From what I understand, as a foreigner this is the only way to make a booking. Even then, we would consider ourselves lucky to have landed it. A combination of the time of year and weak yen meant a high volume of tourists visiting Japan at that time. I was extremely excited. I was so determined to enjoy the meal that I took a nap before the meal to make sure jet lag crash never had a chance to be a factor in this experience. It would be the very first sushi omakase I’ve had in Japan. Actually, this was the first time I was ever in the country. 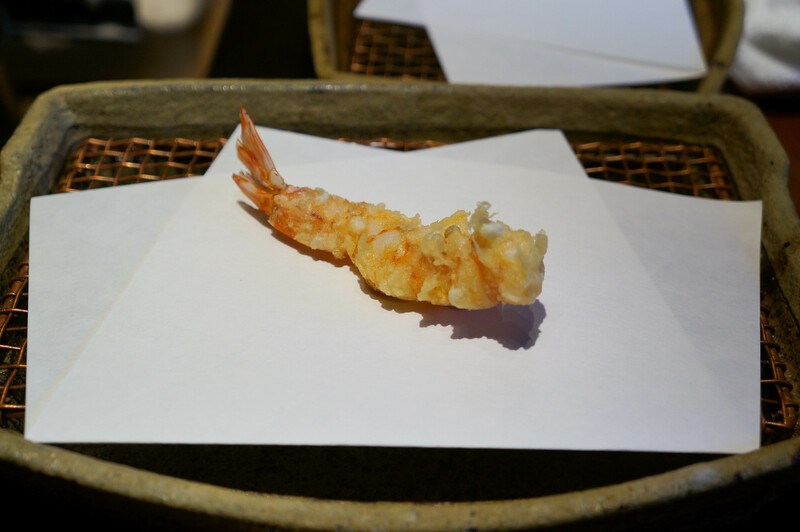 A high end sushi restaurant for my first dinner in Tokyo? Yea, I did that. People say to end your trip on a high, needless to say that advice went thoroughly unheeded. I’ve dined at a number of high end sushi restaurants in the US, in particular San Francisco where we enjoy our fair share of quality sushi restaurants. I thought that I had enough experience over the years to have developed a taste for sushi. But this was Japan, surely they do it even better here. Upon stepping out of the elevator we were greeted by a very quiet and serene atmosphere. 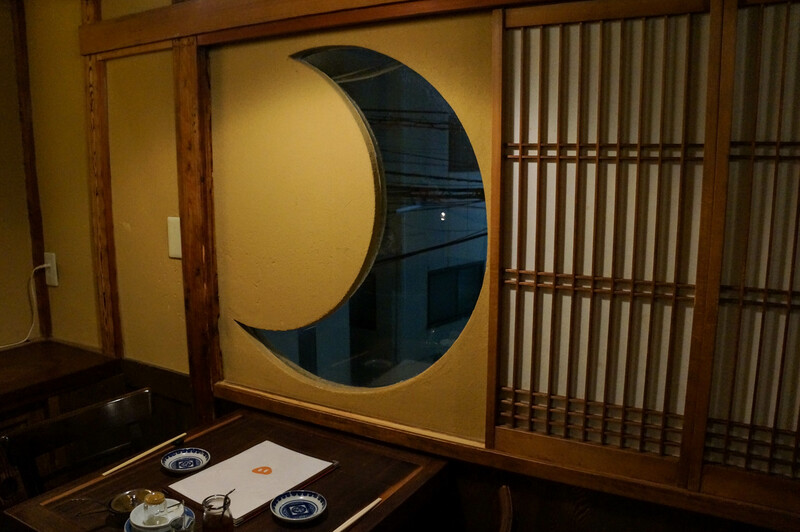 Mizutani’s hostess, also his wife, came out with smiles and welcomed us in to the small space the occupied the dining area. There were a total of 10 seats in the restaurant. 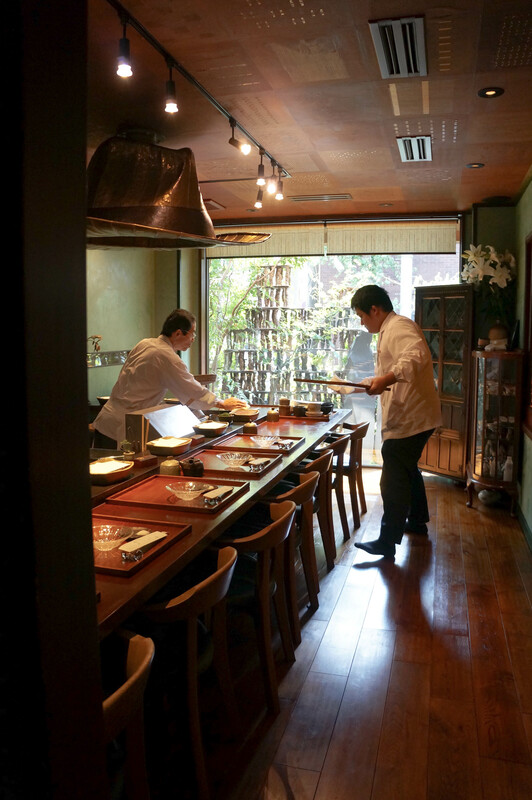 Nothing atypical, as the restaurant can only source so many ingredients to serve their guests, limited seating is common place. 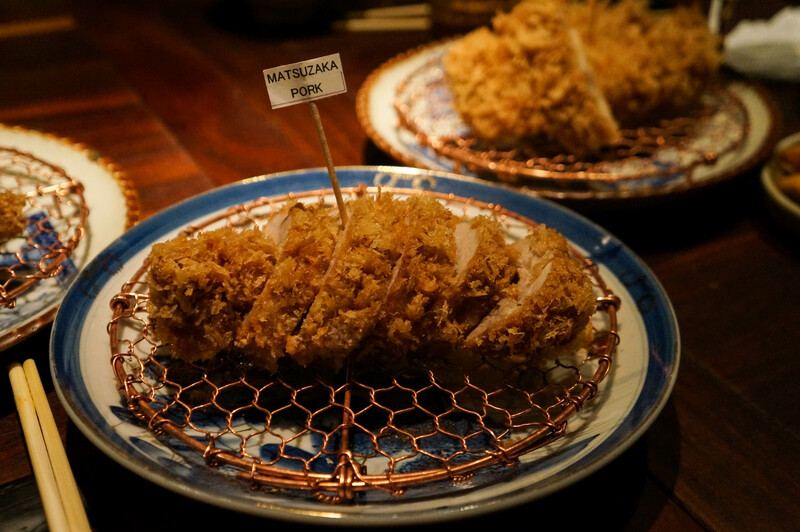 There was Mizutani himself who prepares every single piece of a sushi and another helper in the front, and another in the back preparing grilled items. We each got tea to go with our meal, and decided to go with sushi for the omakase. You are given the other option of sashimi as well, but I’d recommend sushi. I personally think making the rice well is very important part of a sushi itamae’s skill set. Having just the fish would be selling the experience short. It’s a quiet dining experience apart from some chatter between the guests and the chef. It was so serene I didn’t want to make a sound to disturb anyone. Some may find it too serious for their liking, but I personally enjoy the mindset it puts me in to focus on the food. 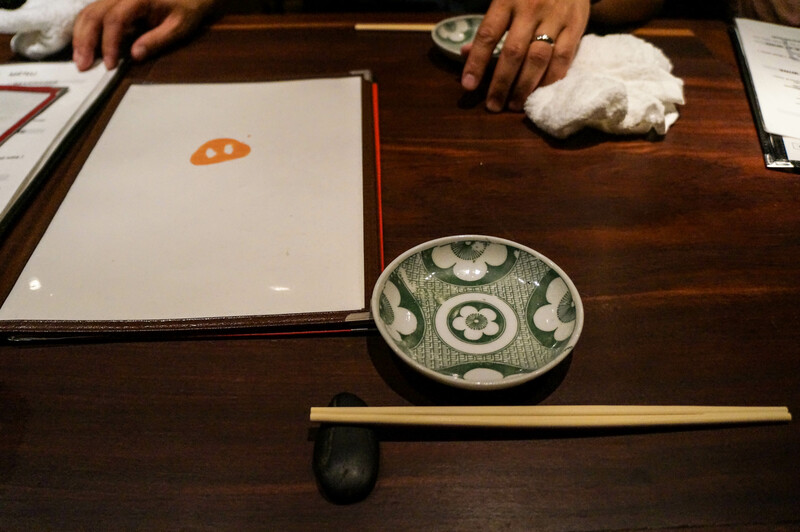 Each piece of sushi is prepared by Mizutani, then served on to your plate. Wasabi and soy sauce is already applied so there’s nothing you need to add to it. Just pick it up with your fingers, and eat it as a whole. Don’t bother with chopsticks, you only risk having it come apart. As I do in every country I visit, do as the locals do. 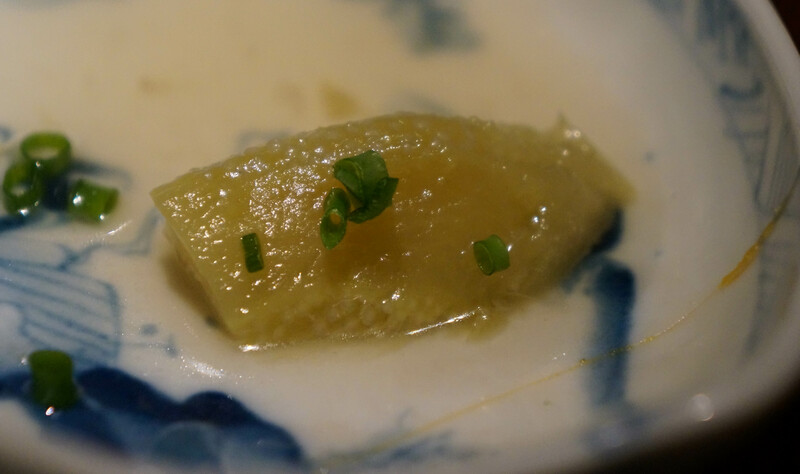 The first sushi prepared for us was a Hirame (flounder). Flounder isn’t a fish I usually care for too much. It’s a white fish that doesn’t have much taste, but that very first piece of sushi put me in euphoria. I knew I was in for something that was going to be a life defining experience. The subsequent 18 or so pieces of sushi confirmed that without a doubt this was the best sushi I’ve had, by a significant margin. 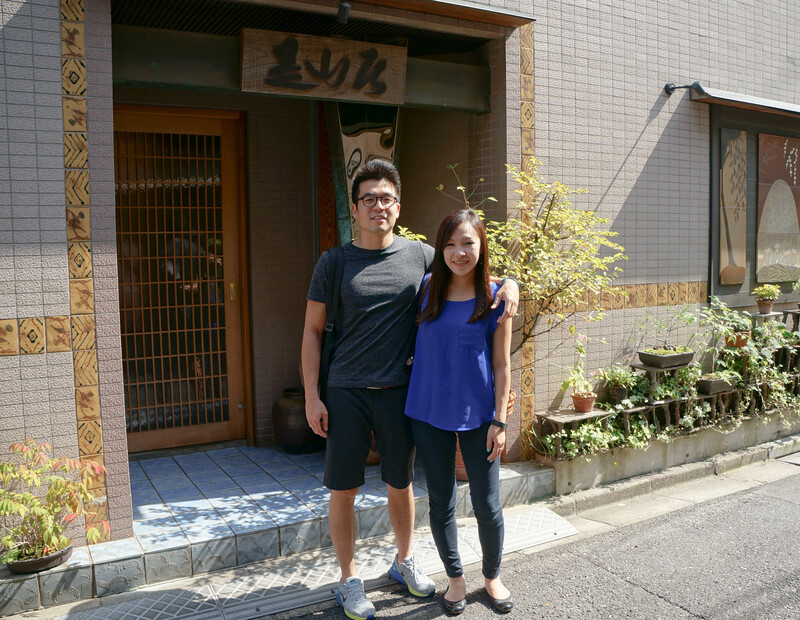 Their fish is sourced from Tsukiji fish market. 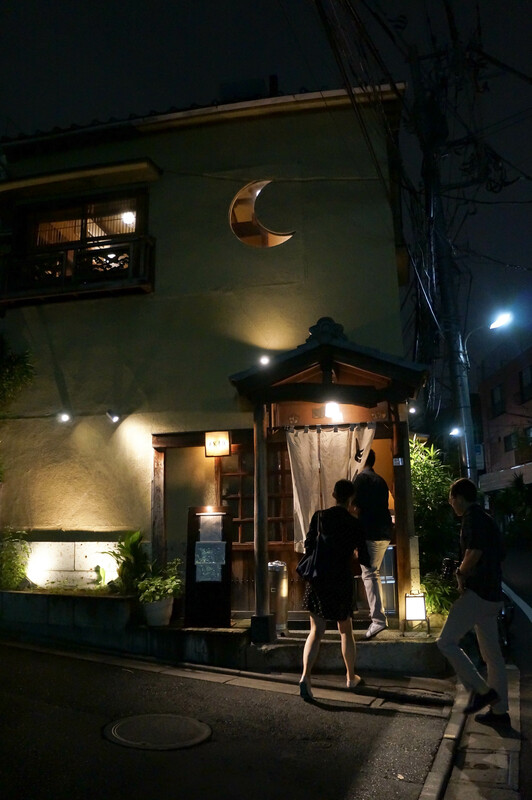 Where Mizutani visits every morning to hand pick the fish he serves his customers. While the fish there is obviously fresh, I can imagine it takes considerable experience and talent to pick out the best of the bunch. 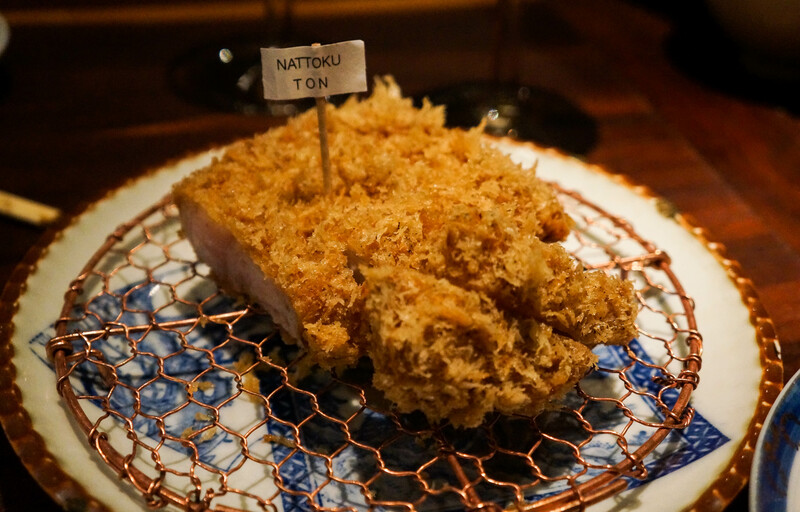 The second to none freshness, taste, and texture of the fish certainly reflects this. 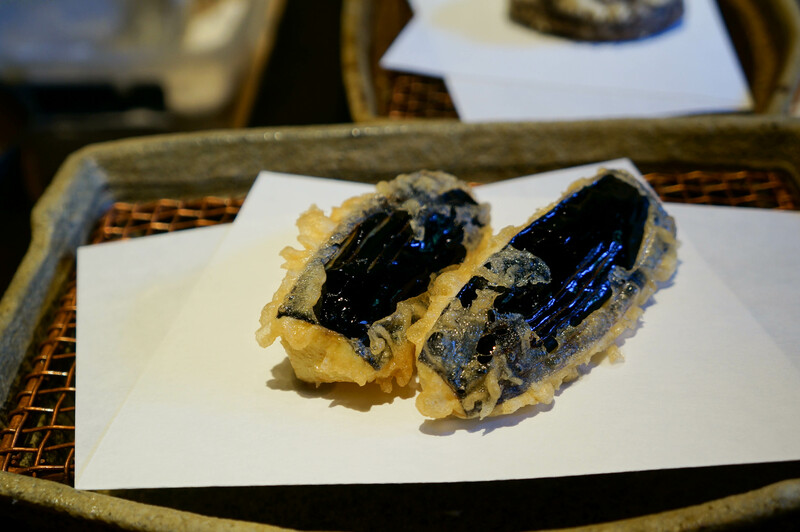 Other than fish, there was a number of shell fish sushi served which I was new to. 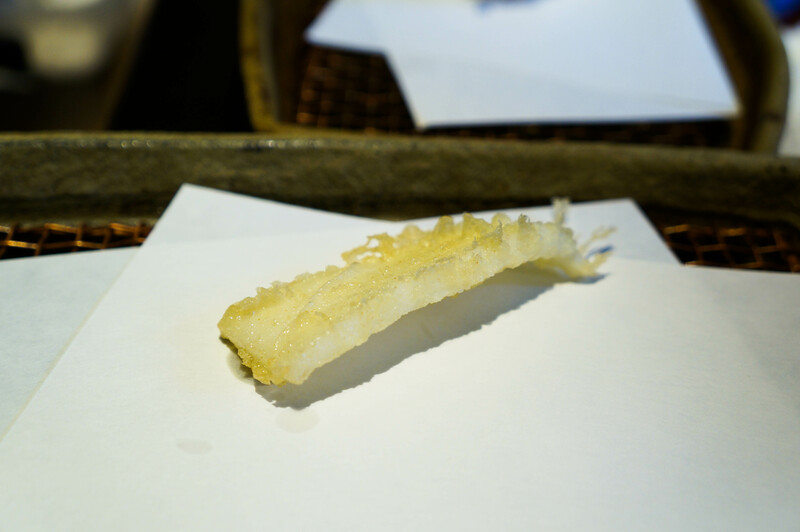 All served raw of course from kobashira (giant clam) to hotate (scallop). None of the fishy taste with that subtle hint of sweetness. Easily comparable among the best of the best. Now continuing on to the part of Mizutani’s sushi that I have been dying to mention since the beginning and that is the rice. That rice was simply phenomenal. I consider myself very picky about rice in general and Mizutani’s sushi rice was every bit perfect in my book. The softness of the texture tells me it’s sufficiently moist yet firm, but not so much that it becomes mushy. In specific to sushi rice, the ratio and temperature needs to be carefully kept to maximize the flavor and taste of the accompanying fish. Mizutani executed this perfectly. I was very tempted to ask for a bowl of just his sushi rice. Tina and I both noted how well ran the kitchen was. As mentioned before, every piece of sushi was put together by Mizutani himself, and the assistant helped with the preparation of the fish. I noticed fish that needed to be skinned were done minutes before. Perhaps it was in the interest of keeping flavor in the meat. Mizutani himself spoke little to no English. While he doesn’t initiate much banter with customers, he’s very receptive when I asked a question here and there. I did have a basic level of Japanese which helped. He was happy to take a picture with us at the end of the meal, and even personally walked us to the elevators with his wife. As we waited for the elevator to arrive, I told him in Japanese that his sushi was very very delicious and thanked him for the meal. This would be only the second time I’ve ever personally said this to a chef. Eating Mizutani’s sushi was a religious experience. I didn’t need to try very hard to keep myself quiet, as I was simply at a loss for words after each piece. The only intelligible thing I could utter to Tina after each piece of sushi was: “SO. GOOD.”. In the middle of it all, when I finally recovered from my daze, I seriously wondered if this could get any better. I can’t tell you that this is the best sushi in the world, but it’s by far and away the best I’ve ever had. Unfortunately photos were prohibited at the establishment. So we can’t share the food in all it’s glory. However trust me when I say that the food looked every bit as good as it tasted. List of sushi served off the top of my head. I didn’t take notes as diligently as I should have, but I bolded the ones that I especially liked.